Good food doesn’t need to be complicated. Take, for example, pesto. I have to admit, I often find myself purchasing the pre-made stuff, yet homemade sauce literally takes minutes to prepare. Why do I do that? For some, I know, that fear of making a sauce from scratch, especially on a weeknight, often seems out of reach. For me it’s a matter of laziness, but whenever I make it from scratch, I’m reminded of how simple and oh so much better it is. 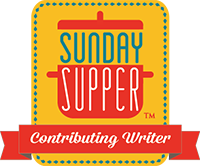 This week, Webicurean is pleased to participate in the #SundaySupper Back to School event, providing 30 minute options for your busy weeknights. This creamy kale pesto is a great example. In Italian, the word pesto comes from the word pestare “to pound, to crush.” While it’s been around for centuries, the first recipe to appear in print was in 1863, in Giavanni Ratto’s Genoese bible La Cuciniera Genovese . The original recipe, Battuto alla Genovese -Pesto (battuto meaning chopped herbs), calls for a clove of garlic, basil, grated Parmigiano Reggiano and Fiore Sardo cheeses, pounded in a mortar with a little butter until reduced to a pulp. Oil is then added “in abundance.” Of course, no measurements are given! Ratto goes on to recommend using this to season lasagna, tagliatelle and gnocchi. Not only is pesto generally a crowd pleaser, it’s also one of those dishes where children can help in the kitchen. For example, my great-nephew, Mark, makes a pretty mean pesto. 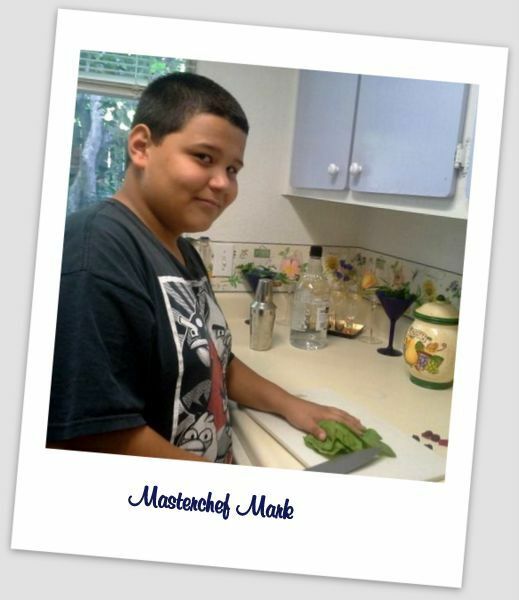 He’s all of 11 years old, but he’s a quick student when it comes to culinary tasks. Morgan and I may have inadvertently sent him on the path to pesto by getting married! True story. It all started with these wedding favors, filled with basil seeds and the family’s pesto recipe on the back. He planted those seeds, and his basil plants flourished! Now he treats everyone to pesto all the time. Look at the size of those basil leaves, and he prefers to chop the basil by hand. I’m not sure why, but this is how my family has always prepared the “green pasta.” Like any good Italian, he measures nothing but gathers a bunch of basil, then chops it up with three to four cloves of garlic, then eyeballs the Parmesan and olive oil.Â Paisano! 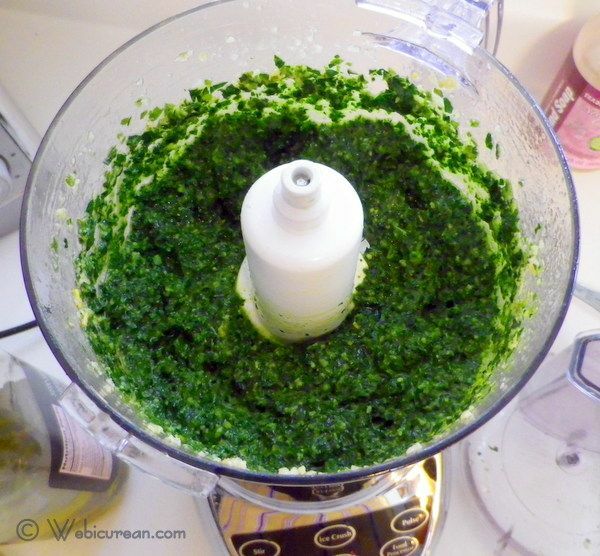 Originally, I intended this post to be about traditional Genoese Pesto. After all, with at least half of my ancestors hailing from Genoa, to write about any other “pesto” could be considered, well, sacrilege. Happenstance, however, threw me a curve ball when my plan to make pesto nearly came to a halt as I realized that the basil on hand was starting to turn. Not to be detoured, I salvaged what I could, then looked to the fridge where I discovered a lovely bunch of Lacinato kale, just waiting to be consumed. Could I? Should I? Well, I did, and the results were fabulous! 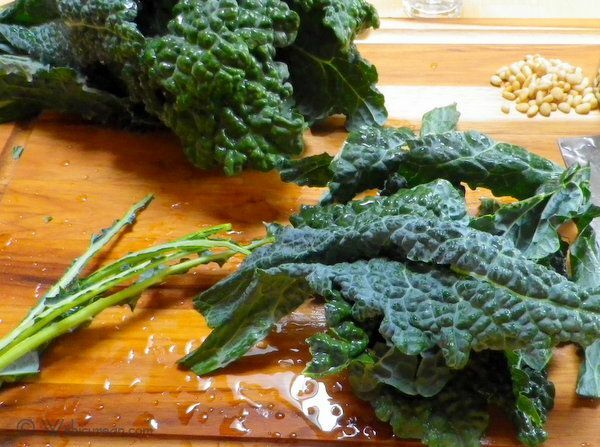 Lacinato kale (sometimes called Dinosaur or Tuscan kale), is a hearty plant and a nutritional powerhouse. What better way to sneak a little extra veggie into your kids’ diets (or into yours for that matter)? Not only did it blend well with the basil, it lent a vibrant green color that remained green, unlike basil which eventually turns the sauce brownish. This recipe is pretty flexible too. 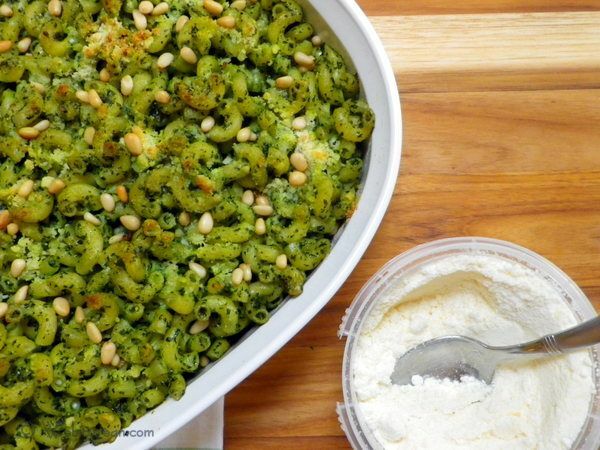 If you’re really short on time, you can skip finishing it off in the oven, and enjoy the pasta as soon as it’s tossed with the pesto. After all, pesto is meant to be a raw sauce. Personally, I prefer to have my kale cooked a bit, so I popped it in the oven for a few minutes which mellows the flavor some. Either way, it’s sure to please. First, let’s get a big pot of salted water on (about a tablespoon for every three quarts).Â You may as well ready your food processor or blender too. Meanwhile start gathering the ingredients. 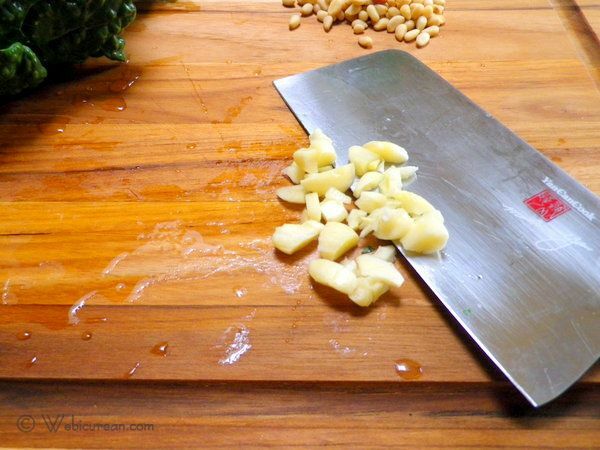 Give both the garlic and pine nuts a rough chop before adding to the food processor, reserving about a tablespoon of pine nuts for garnish. I should note that I cheated a bit here and bought pre-roasted pine nuts from Trader Joe’s. Add in the olive oil and give it a good whirl. Yes, I know, this is a great departure from traditional methods, but hey, we’re trying to streamline things here! Before adding the kale, it needs to be stripped from the stems then given a rough chop. Is your water boiling yet? Get that pasta in the water! It’s all aboutÂ multitasking. Then pack the kale tightly into the measuring cup. See those leaves trying to escape? Don’t let them–shove ’em back down. Follow the same routine with the basil. You’ll need three cups in all (two kale, one basil). The food processor does the rest of the work. If you add the greens one cup at a time, it’ll be much easier. 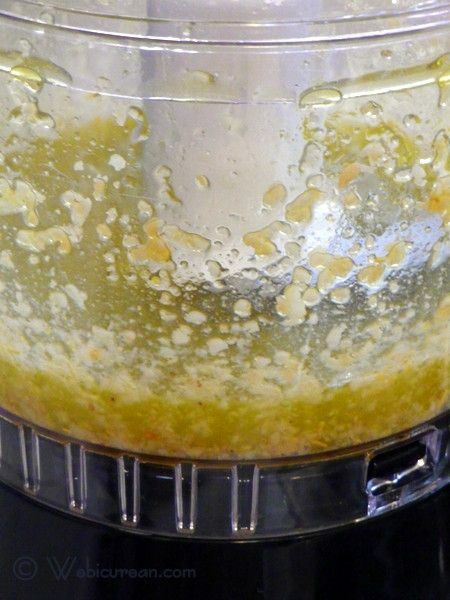 Once you have this consistency, add the cheeses and butter, then whirl until completely blended. The pasta should be done by now, so drain it then toss with the pesto sauce.Â At this point, you could simply serve it as is. Or, if you’re like me and want your kale cooked a bit, prep it for the oven. Spread the pasta mixture into a baking dish. Drizzle on about 1/2 cup of cream, then sprinkle some Parmesan and the remaining pine nuts on top. It only needs a few minutes, but what emerges is slightly golden on top and creamy pesto goodness below.Â It’s especially good with a little crushed red pepper on top! This pesto gives you the best of both worlds--the flavors of basil and garlic, blended with a nutritional powerhouse, kale. 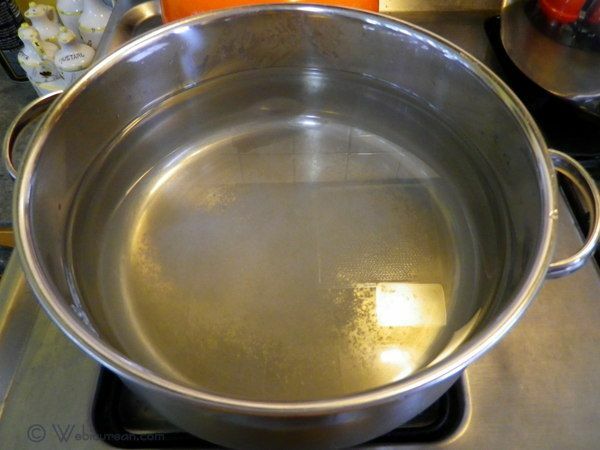 In a large pot, bring about 6 quarts of salted water to a boil. Add the elbow macaroni and cook for about 7 minutes until al dente (if you used a different pasta, follow the cooking instructions on the package). Drain, toss with a little olive oil, and set aside. 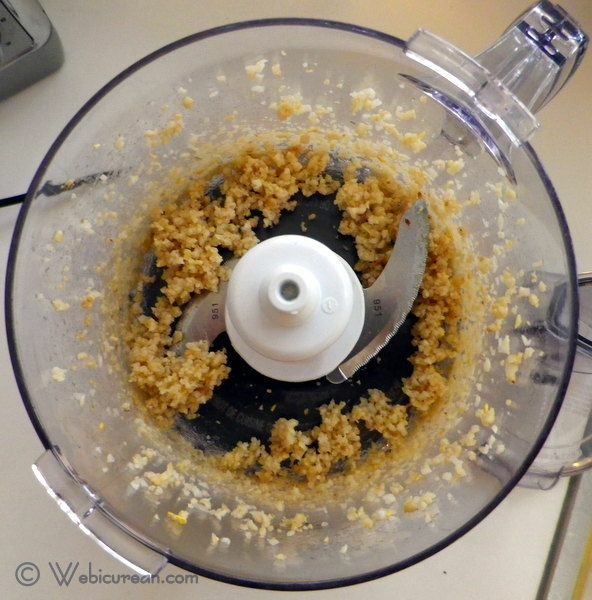 Give the garlic and pine nuts a rough chop, then whirl in the food processor until mashed. Add the olive oil, and give another good whirl. To the food processor, add the kale and basil one cup at a time, processing until all leaves are chopped up. Next, add in the cheeses and butter. Process until completely blended. 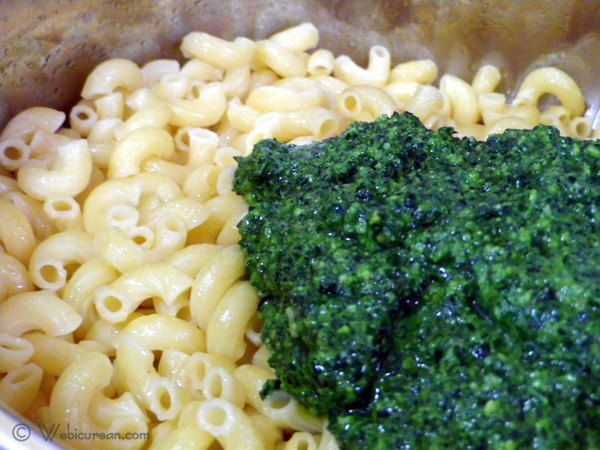 In a large bowl or pot, toss the pasta with the pesto until every noodle is covered. The pasta can be served at this point, or proceed to the baking steps below. Transfer pasta mixture to a baking dish. Drizzle cream evenly over the top, then sprinkle on some Parmesan cheese and the reserved pine nuts. Bake at 375 for about 15 minutes until golden. This is also delicious with leftover roasted chicken chopped up and tossed with the pasta. Here are some additional quick and easy meals from the #SundaySupper team–more than 50 dinners that take 30 minutes or less. It’s like having an entire cookbook in one post! On Sunday, you can join us on Twitter throughout the day. Also, weâ€™ll be meeting up at 7:00 p.m. EDT for our weekly #SundaySupper live chat where weâ€™ll talk about Back to School Meals and ways to make meal time easier! Just search the hashtag #SundaySupper. Please note, I earn a modest commission from any Amazon links presented in this article. YUM! The colors in this dish are gorgeous! Jen @JuanitasCocina recently posted..Croque Monsieurs ~ Back to School #SundaySupper! Basil is running rampant in my garden right now and I think the idea of pairing it with kale in pesto is brilliant! 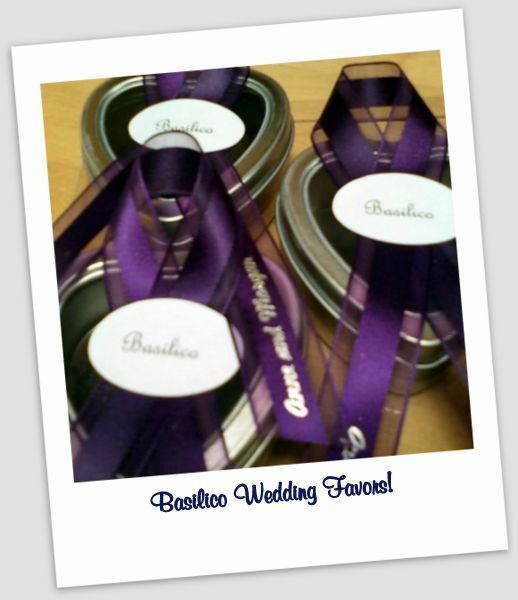 I’m also planning to share your wedding favor idea with my stepdaughter who is getting married next year – love it. Thanks! The favors were a big hit–I found a seed supplier online & got the seeds in bulk which is much cheaper than the little packets in stores. I must be honest…. I’ve never made or bought pesto………..gasp……..I know. THis looks so wonderful! Try it some time–you’ll want it on everything! I’ll definitely be trying this! I love how healthy the dish is with the fresh kale! I have some homemade pesto in my freezer and now I know the next thing I will cook with it. I also need to make another batch of pesto and I will try it with kale since you have inspired me to do so. I can never tire of pesto, and this one sounds fantastic! Will try it soon. Thanks for stopping by. Looks yummy, will have to try! 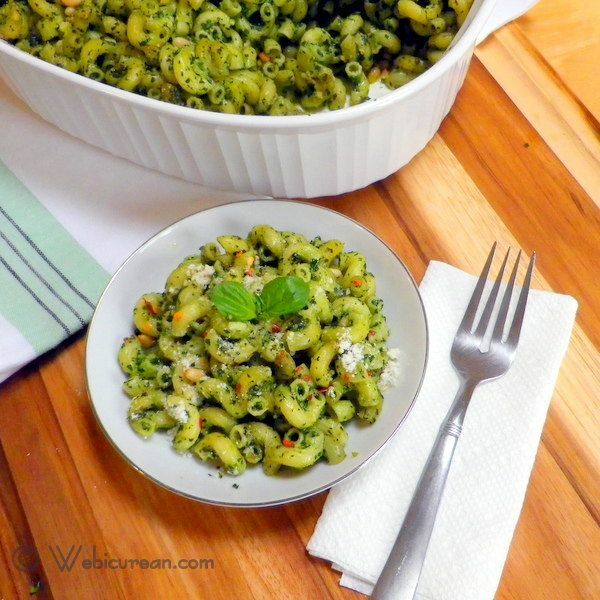 What a great twist on traditional pesto! And so wonderful baked with pasta for a quick meal 🙂 Happy #SundaySupper! Look at all the beautiful color in that pasta! Just a gorgeous dish! Definitely going to try this! I used kale in another pasta recipe for the first time and my family devoured it, so I’m pretty sure this will be a hit too. Tell Mark I’m impressed with his skills too! Thanks, I will! He’s a very proud chef. Your son is an Internet rock star now! Love the color of your pesto! What a great use of kale, which I admit, I’m not a fan of! I’d definitely chow down on this! What a fun wedding favor! And what a delicious dish – my mouth is watering just looking at it. So this looks so amazing and i’m going to have to find some gluten free macaroni pasta so I can try this out. Trader Joe’s has a gluten free penne (I believe it’s made with rice) — that would work well with this. Some of my favourite flavours together in one dish – heavenly! I’m definitely lazy about pesto also! I know I can make it in a flash, but instead I just buy it from the store. However I LOVE this version with kale. Just one question…since one of my kids has a nut allergy, can I just omit the pine nuts and still have a flavorful sauce? Hi Amy–that’s an interesting question. Pine nuts are technically seeds (from the pine cone)–do they still trigger nut allergies? That I don’t know, but I’m sure it would be fine to skip them. You could also try substituting something like toasted pumpkin seeds in its place. 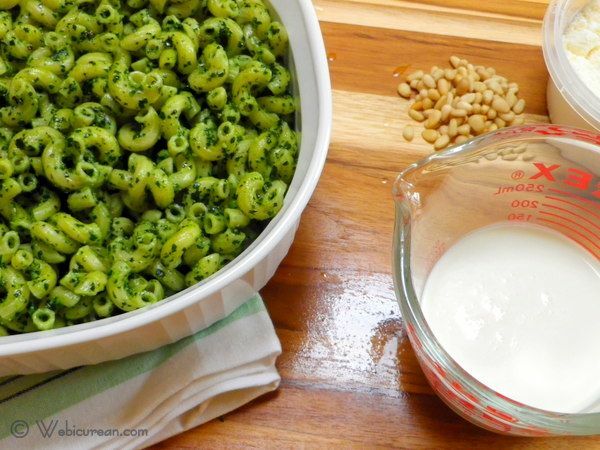 I’m sure omitting the nuts entirely is fine–pesto is usually pretty good without the pine nuts too! Thanks for sharing all the fun facts and your great nephew is pretty amazing home cook for an 11 year old. I eyeball measurements too when I make pesto but I don’t have the muscle power to chop and grind it in morter and pestel. 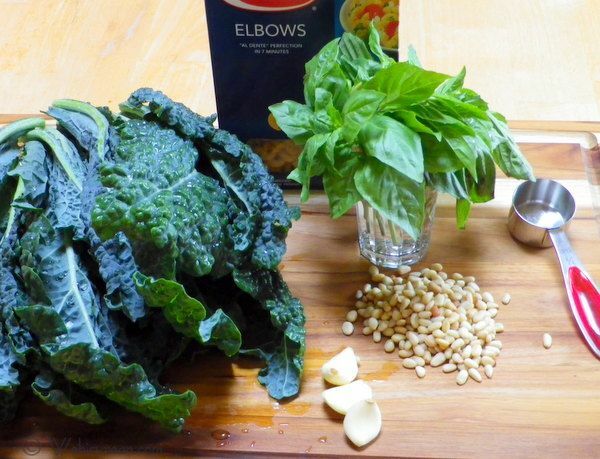 Great idea for making pesto with Kale. I’ve made it with everything from arugula to spinach. Will try the kale soon! I think it’s a generational thing. My BFF’s son was cooking rack of lamb at that age (kid you not, he and a friend hosted a dinner party for the parents) … her going almost 3 yr old gets cooking lessons at her preschool–she’s already made Irish soda bread as well as other things. I still had people waiting on me at that age! Thanks! And thanks for the link–you have some yummy stuff posted on your site! What a great idea to combine the basil and the kale! I have lacinato growing in my veggie garden and I’m heading out to clip it now! Thanks! Lucky you! I hope I can get a veggie garden going in my yard soon! Chef Mark can cook this fabulous recipe for me any day! What a great and healthy idea! Thank you for sharing during #SundaySupper! I usually don’t cook with kale and I have to change that. This looks so good!! I only recently tried kale and I have been looking for more uses for it and a pesto sounds perfect! Thanks for sharing. One of my favorite uses of kale is to simply sautÃ© it with a little olive oil, garlic and some leeks… somehow it’s almost buttery in flavor! I love any kind of pesto and this sounds delicious! Cindys Recipes recently posted..Chocolate Pineapple Upside-down Cake guest post at Go Bake Yourself! Thank you so much for this recipe! Pasta & pesto is one of my favourite quickie week night meals. I’m the same as you – even though I know how delicious, flavourful and easy it is to make pesto at home, I still always reach for the store bought stuff. I even bought a basil plant a few months ago so that I can make my own pesto and I STILL haven’t done it. Talk about laziness! 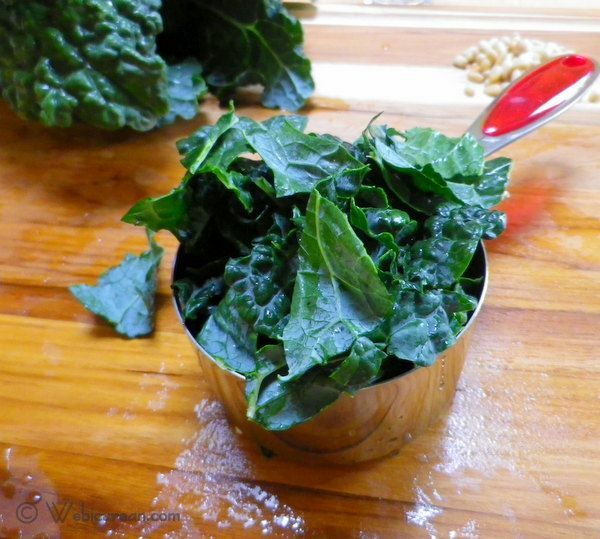 I love this recipe and the incorporation of super healthy kale. It looks and sounds fabulous. I love Kale and I don’t think I would have ever thought to add it to a pesto. Yummy! Jamie (Mama.Mommy.Mom) recently posted..Do You Know Where Your Coffee Comes From? Lemon & Dill Shrimp Pasta w/ Oven Roast Corn #SundaySupper | Mama.Mommy.Mom. Copyright © 1996–2019 Anne M. Papina & Webicurean™ All Rights Reserved.